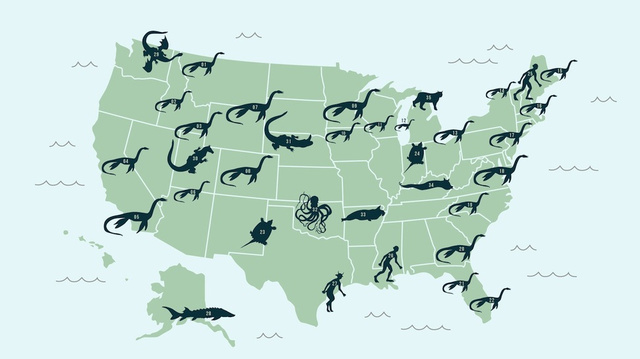 Just in case you have not seen it all yet in 2013, The Lake Mosters of America map! This link is from Bonnie at Manhattan Beach. Here are 27 incredible views that you would only see if you were a bird. Click on the image below. As 2013 nears it’s end, I wanted to wish everyone a Merry Christmas and Happy New Year before I go on vacation! 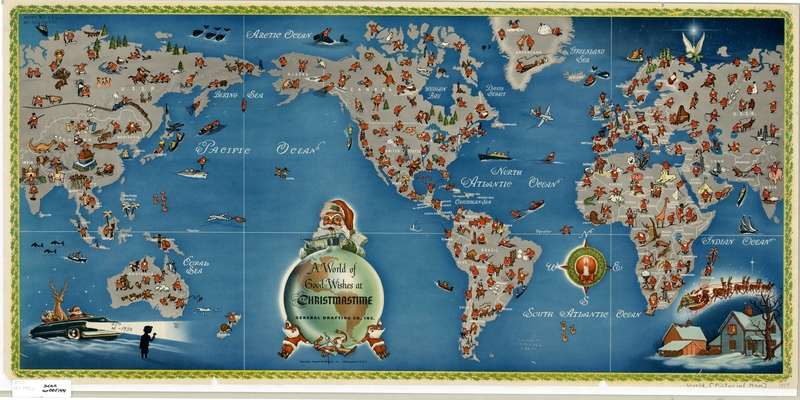 For your viewing pleasure I included this cool 1950’s Christmas map which shows Santa Claus visiting places all over the world. PS – Let me know if you want to host our next SoCalGIS meeting in the new year. Just contact me at mcarson@burbankca.gov . Ventura College’s Introduction to GIS Software (GEOG V26) class starts January 6th. This Monday/Wednesday class is 8-weeks long and meets from 7:00-8:50. This course provides a good entry point to those interested in GIS and also provides hands-on skills with ESRI’s ArcGIS 10.2. This course can also fill in gaps for those with some exposure to/experience with GIS. A follow-up GIS Projects class, GEOG V28 starts right after GEOG 26. You can register for both if you are interested in developing your skills further. Contact Steve Palladino, GIS Program director, spalladino@vcccd.edu for more information. If you have been thinking about attending one of those coding bootcamps so you can make six figures, take a look at this article for a good analysis of these schools. 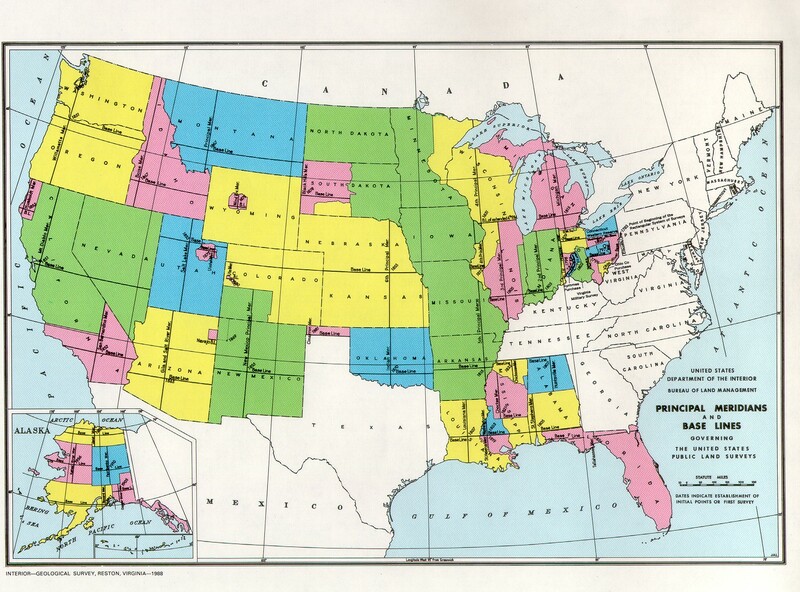 In 1785 Congress enacted a law stating that the land in the new States were to be surveyed by a grid system consisting of townships 6 miles square and the said townships were to start at a principal meridian and its base line. These initial points were established as needed across the country. On November 7th, 1852, Colonel Henry Washington, Deputy Surveyor under contract with the United States Surveyor General of California, completed a four day hike with 12 men to a point he designated and monumented to be the Initial Point for the San Bernardino Pincipal Meridian. Nestled at an elevation of 10,300 feet just west of what is now known as Mount San Bernardino, this Initial Point is both the highest and hardest to reach in the entire country. According to surveyor C. Albert White, it is also the only one that has not been altered over time by man. And, to add to its mystique, this point has one other unusual characteristic feature that makes it more unique – it is not alone. The Principal Meridian Project was started by a group of people devoted to identifying all the base line markers in the country. The group finds the search for meridian markers as interesting as geographers do. Click on the map below to visit their page and learn more about our Initial Point (or points!) in the San Bernardino Mountains.